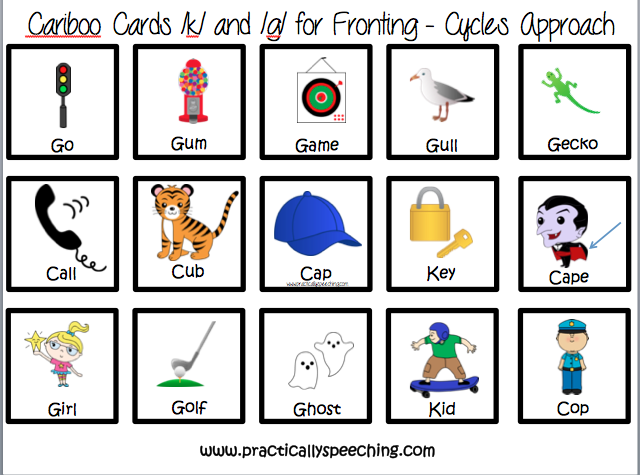 Fronting /k/ and /g/ Packet using the Cycles Approach - FREE until Friday! Recently there's been a lot of talk about the Cycles Approach when I'm going to my monthly Speech meetings. I'm always interested to hear about articulation/phonology techniques, no matter how new or classic they may be. The Cycles Approach was one of those things we breezed over in graduate school. I knew the basics, but was unsure how to implement it. Recently I added a preK student to my caseload, and thought this might be the best approach to remediate the fronting that was going on. I created this packet to try to make the approach easy, kid-friendly, and cohesive. Since the approach follows such a structured schedule during a session, I thought it would be great to make them print-n-practice style items. 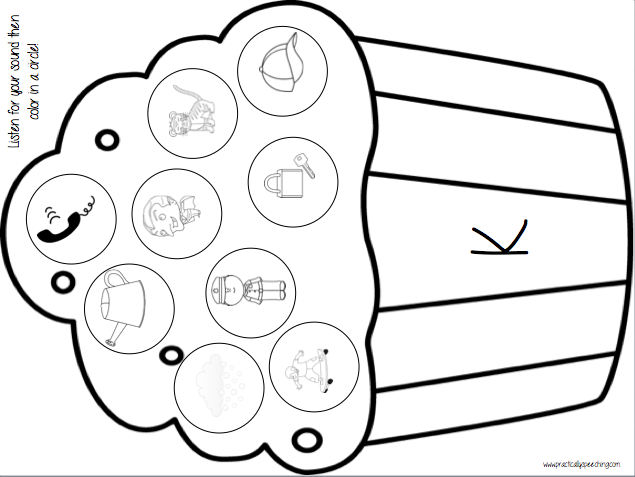 The auditory bombardment words can be hole punched and put onto a binder ring, and the printable black and white practice sheets make it simple to use both in therapy and as homework. My favorite part about this packet is the auditory bombardment cariboo cards! I'm really all about using the cariboo game in therapy, as it's just so rewarding and fun! 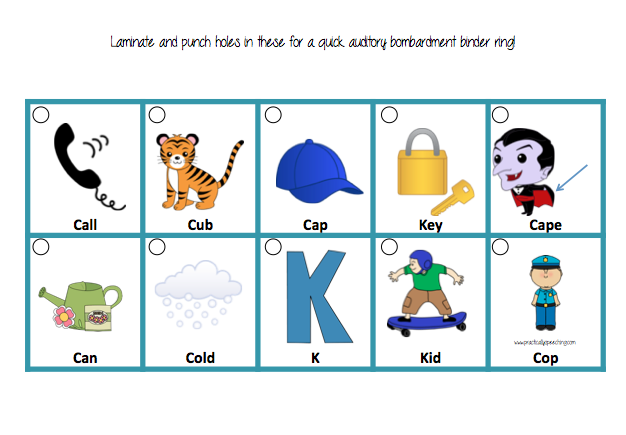 Print, cut, and slip these cards in to use identification and auditory bombardment. Even use it as a way to practice saying the sounds once you are up to that stage! 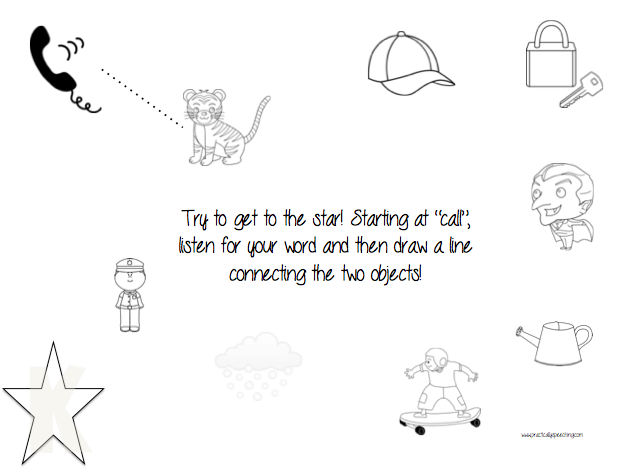 Download this activity pack HERE on TpT for FREE until Friday!